Consumers love Target for good reason; marketers should, too. 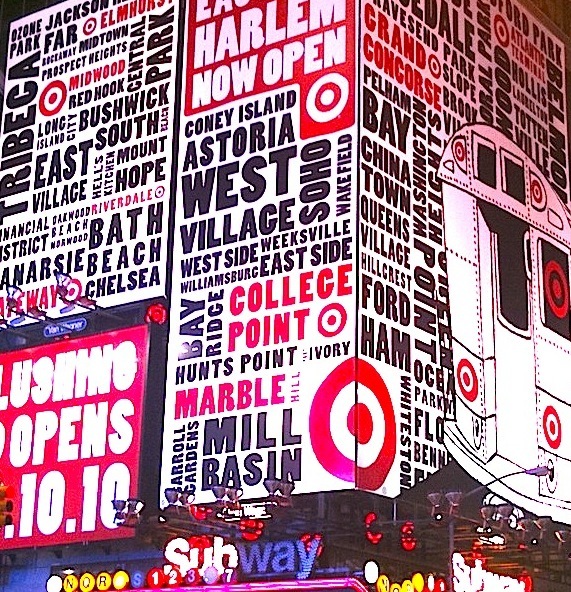 In Times Square, Target's billboards are attention grabbing and useful, alerting consumers to new locations and designed with an urban theme. Several times in the last week I mentioned to friends, Vertical Marketing Network colleagues and one total stranger that I was working on a piece about Target, and each time I got the same response: a genuine smile. Apparently, Target is the kind of business that makes people happy. Is it the catchy ads? The endless aisles of high-brow-designer-gone-affordable stuff? The Bullseye Dog? Maybe it’s those Facebook gift cards we’ve been talking about? When it comes to Target, there’s something for everyone. And more importantly, there’s a lesson for every smart marketer. Maybe I’m just blogging out loud here, but it seems like Target is a perfect example of how a brand can cover its bases. From in-store to on the street, from online to on your mobile, Target is right on, well, target. Smart marketers take note. Target is trendy. From the store’s ever-expanding fresh food department to the electronics department complete with iPad displays. It’s hard to remember a time when designers as successful and varied as John Derian, Sonia Kashuk and Zac Posen were available for the masses. For that matter, didn’t Target make Isaac Mizrahi a household name? Target doesn’t just get people smiling; it gets people talking. From standout billboards to clever commercials, the brand makes a bold statement about choice, design and lifestyle that resonates with savvy consumers. Whether they are young or old, affluent or budget-minded, Target has succeeded in shedding its big-box, discount-chain skin to appeal to many different types of people, who, in turn, have rechristened the store: Tar-shay! Target is everywhere. 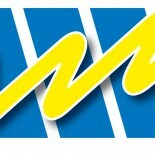 Not only does the brand have a great Web site, it also is active on Facebook, Twitter and YouTube. Furthermore, and really ahead of the curve, Target is participating in the emerging m-commerce with its own mobile app. Target channels and promotes popular culture. Last year, Target partnered with M&Ms on a promotion linked to the latest Transformers movie. And the store is currently asking shoppers to channel their inner critic — a la Yelp — by awarding one lucky shopper a $500 gift card. Another case in point: the aforementioned Facebook gift cards, which the retail giant started selling last month. Similar to iTunes gift cards, Facebook gift cards — available only at Target — can be spent on applications, social games and virtual goods associated with those games. Facebook estimates 200 million people play virtual games via the site each month. Now that’s making The Social Network work. From exclusive deals to special packs, Target’s promotions stand out. Still need more proof? Check this out. Target’s got kidfluence and dogfluence. Why was I surprised that among the Halloween costumes for kids big and small, there were also tricks and treats for pets? We know both are emerging markets. As we head into the holiday season, smart brands should step up and into the spotlight — be it orange and black, red and green, lime, silver or gold. Convenience, cost, quality, merchandise; these are just part of consumer puzzle, and while many stores succeed on many different levels, Target shines by getting it all right. Brilliant, smart and consistent branding. Every time I am forced to go into a WalMart I am reminded of why I admire Target’s commitment to and respect for the customer. They both sell virtually the same low to mid-level consumables, but they are entirely different shopping experiences. I enjoy just walking around in a Target. I want to take a shower after WalMart! Is it possible to be in love with a Retailer? Pretty sure I am with Target. Love the new Halloween Your Head Facebook app they created (supported by a fun FB ad campaign, btw!). I remember during Back to School time they offered a 2-piece gift card where a parent can pre-load the other half of the card with a set dollar amount and give it to their kid who is going off to college …then reload the card from the parents location at any time. Fantastic! I LOVE Target! Love, love, love it! They carry literally everything. You can always count on the quality and an excellent customer experience. They’re able to reach out to a large demographic too in their branding. For instance, I know that they’ve interweaved commercials with popstars like the Jonas Bros. to reach out to a younger audience. Plus, the songs in their commercials are catchy and creative. I heart target! I find the people that work at my local Target to be happy and fun. I like that any store I go into is consistent with what they have and even more so, what they have online is what they have in store too. The free shipping with $50 or more in online purchases is an added bonus for this busy mom. I purchased my children’s Halloween costumes as soon as they had them online (I’ve got a Hannah Montana, Princess Ariel and Buzz Light Year)! I love the ads too; always have. Target has done a good job of creating a niche for itself. It’s my number one go to store for just about anything. Target has always been a favorite of mine because they have almost everything I need in one place. I still find myself avoiding it most of the time though because I don’t want to deal with the crowds. The popularity of the store makes it difficult to zip in and out of there, and if you commit yourself to going you have to plan on spending at least an hour. Once there, I always find myself loading up on items that I didn’t plan to buy…merely because they were conveniently available to me. While Target can be a convenient one-stop-shop, it’s hard on my wallet! Target has always been a favorite of mine. It used to be viewed as a middle scale big box store. It has come up in the ranks as a store that projects and provides quality. You know it’s reached a higher level of perception when more and more of my friends kids getting married register at Target as a preference. This entry was posted on October 26, 2010 by JJ Nelson in Uncategorized and tagged Advertising, Brand loyalty, Consumerism, Facebook, Marketing, Mobile applications, Promotional tools, Shopping, Trends.